Apoptygma (Hace 2 meses) #52183420Looking to ID some more badges, straps, charms, etc. Thanks in advance as always! Need some help with more pins and straps. Thank you all so much as always! Apoptygma (Hace 1 mes) #53371142Need some help with more pins and straps. Thank you all so much as always! I was looking through some older stored items and I'm researching if these older 'toys' have any kind of collectible value and if it's worth it to add them to the database. *edit* For clarification: I'm looking for any information regarding a manufacturer, line in which these figures were made or release date. Hey guys. I found some loose figures laying around a used bookstore today and bought them. I was wondering if you guys could help me out on this. 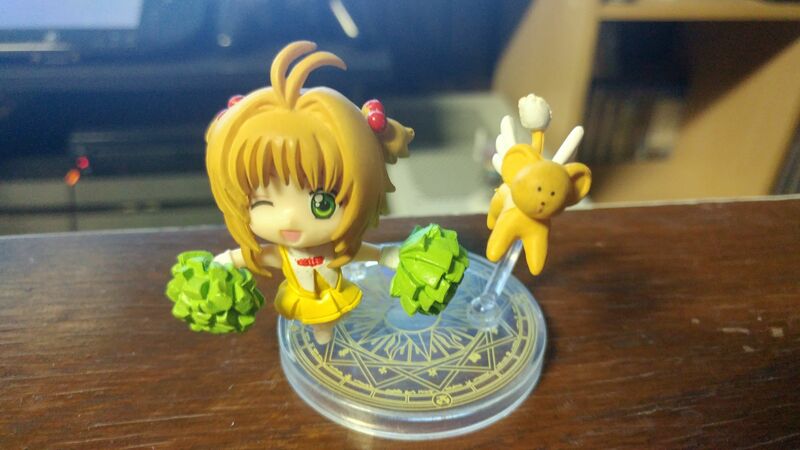 This Cardcaptor Sakura one looks a lot like another listing here in MFC (ITEM #263122), but I'm thinking it could be a bootleg? it doesn't look like the ones other people have pics of. 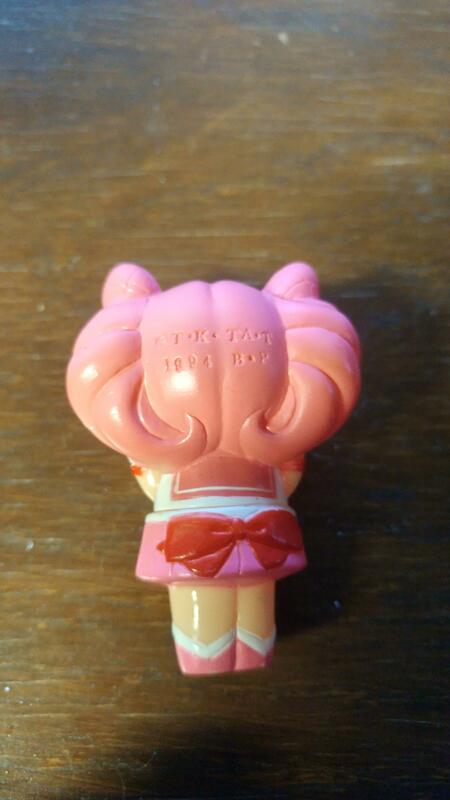 This Chibiusa from Sailor Moon was so ugly, I just had to pick it up. But, what is it? Is this a bootleg too? Apologies for the poor lighting and image quality. 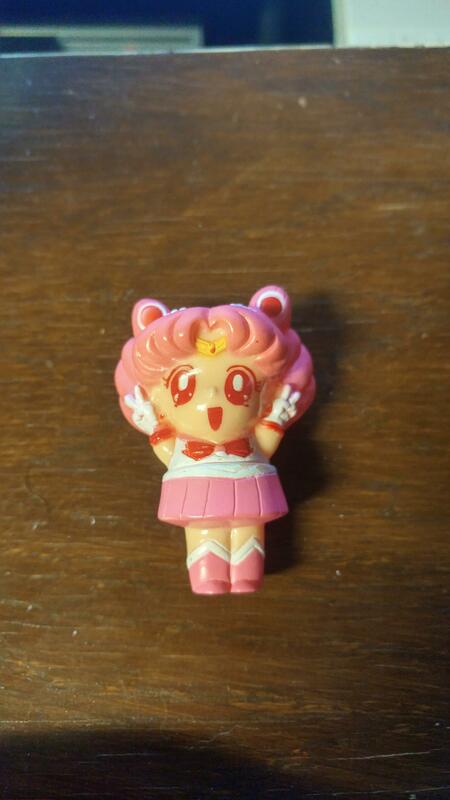 Here’s the Chibi Moon: ITEM #57941 Can’t tell if it’s a bootleg, those things had bad painting official or otherwise. Also, direct imgur links don’t work on MFC anymore. I couldn’t click on them, had to copy and paste link in a new tab. Thanks for the help! I'll be sure to note the imgur thing as well. I guess it's because I was searching for Chibiusa instead of Sailor Chibi Moon. I just received this cutie in the mail and would love to know who she is and more of the series! I thought she was from Ichigo mashimaro but can't find any that look like her. broly88 (Hace 1 mes) #54776969I just received this cutie in the mail and would love to know who she is and more of the series! can someone identify this please? thank you! I should know this plushie but I am drawing a blank! Also need some help with some various pins and charms. Thanks as always!